In today’s economy, knowing more about potential borrowers minimises risk – and maximises profits. Credit scores alone only give you a partial view of credit health. Our solutions bring you information that dives deeper and reaches wider. Through easy-to-use tools that deliver clear-cut answers, we bring you an integrated look at a borrower’s credit profile and history. Using risk management to fuel better performance. When it comes to fraud, Zoot takes a proactive approach to finding innovative ways to spot current, emerging and potential schemes. Our solutions allow our clients to see the whole picture, allowing you to stay steps ahead of fraud perpetrators. Streamline your origination process and offer paperless lending anytime and anywhere with Zoot’s origination solution. Our comprehensive all-in-one solution helps financial institutions achieve excellence in multichannel application distribution. Zoot’s origination solution enables rapid and effective origination across multiple markets, segments and channels, with high-quality customer experience and optimised collaboration between borrowers, partners and lenders. With a complete automation process, considerably fewer resources are necessary to move existing applications through the system – freeing up your staff to concentrate on higher value-adding tasks. Using real-time data, Zoot’s instant decisioning solution allows you to immediately gain an accurate picture of the financial health of your customers and calculate how much credit to extend. Offer credit to your customers under your own brand with a convenient, streamlined user experience. A robust, flexible set of decisioning capabilities and data assets can help deliver more relevant offers and improve responses across multiple channels. Whether you use an interface you’ve already built or a Zoot interface, you can easily integrate our solution to confidently approve customers in under a second while enhancing the customer experience. With Zoot’s instant decisioning solution you will quickly discover insights, make optimal decisions and execute innovative customer strategies. The dynamic financial services environment demands that your business makes intelligent decisions to maintain its competitive advantage. With the tremendous volume of data available, it is critical to cut through the noise to find and utilise the most valuable data to meet your specific business needs. 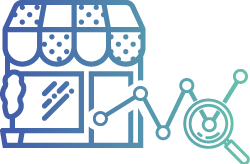 Zoot’s data acquisition solution allows you to choose from a vast ocean of data and service providers, giving you the power to identify the best strategy for growth – based on data, not guesswork. Manage your merchant relationships and mitigate risks with Zoot’s merchant acquisition and monitoring. Our solution also allows sub-second decisioning and a fully automated underwriting process – providing acquirers an efficient and seamless onboarding experience for all merchants – large and small. Zoot also understands your challenge to identify the likelihood of risks, and mitigate losses while increasing portfolio volume. 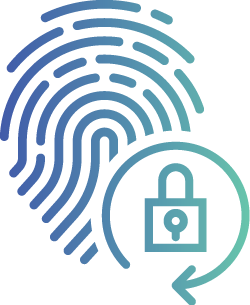 Our solution makes it easy to achieve a thorough understanding of the full spectrum of risks such as fraud, non-compliance issues, attrition and bankruptcy, as well as detect and track suspicious transactions. By being prepared for risk with an advanced system, acquirers can more confidently and ambitiously sign-up new merchants as the economy grows. On the other hand, even if economic conditions take a downturn, acquirers will be in a stronger position to reduce losses from risk presented by current merchant accounts. Today’s banking customers have high expectations for their relationship with their financial service providers. Consumers expect a personal, yet convenient relationship with their banks, and the ability to interact with advisors through the same channels they use to stay connected with friends and family. This multichannel interaction presents a challenge for banks – to rapidly detect and prevent complex fraud schemes to minimise losses, maximise customer trust and reduce reputational risk. With Zoot’s fraud solution, financial institutions can deploy a variety of fraud detection scenarios extending across channels, lines of business and customer lifecycle stages – ensuring constant customer protection.